Our county is known for agritourism, with its wineries, farms, corn mazes, and farm-to-fork eateries, so it is with great excitement to add Farm Boy Farms in Pittsboro to our offerings. 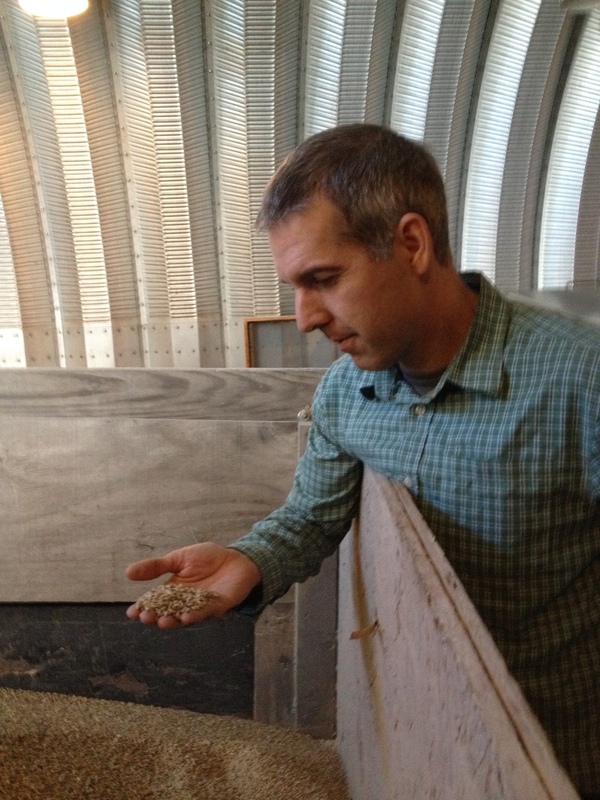 The owner, craft farmer, and craft maltster is Dan Gridley who works with his father-in-law, and they make a great team. They are passionate about locally grown ingredients, processed locally, and brewed in North Carolina. Farm Boy Farms offers local malts and hops to homebrewers and an impressive list of craft breweries. Approximately five years ago, they took 80 acres and began the process of growing, education, and the research of growing hops and grain. They grow five of the seven varieties of hops that grow in the Piedmont based on research that was completed at North Carolina State University at their research hop yard, which include Cascade, Centennial, Chinook, Nugget, and Willamette. 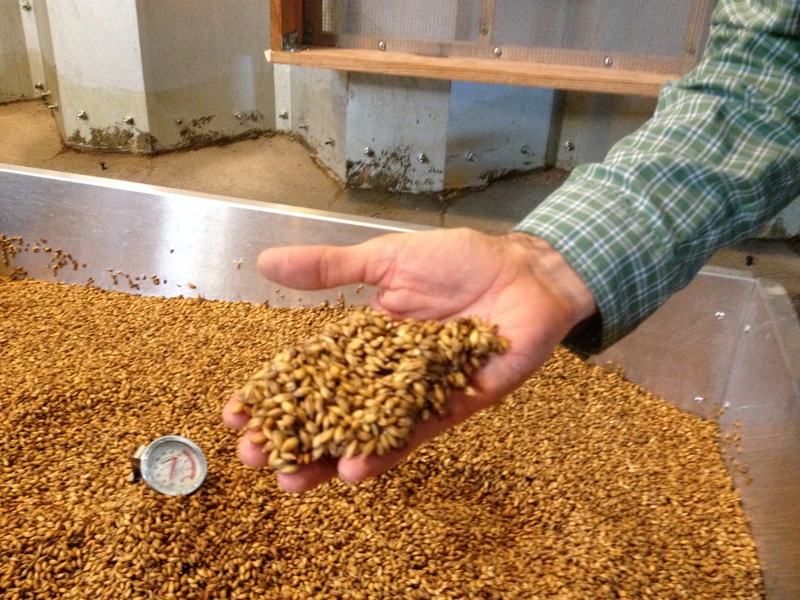 The grain they grow is specifically recommended for brewing beer; the American Malting Barley Association recommended two-row, six-row, wheat, rye, and milo. All of their product is sent to Appalachian State University, with whom they work closely for analysis. One of their goals is to offer three acres of hops, which are perennial, using existing plants, with the sun providing a perfect hops harvest. Whole leaf hops are grown and Farm Boy Farms has hosted events in which microbrewers visit to harvest the hops, when time has permitted, and to learn more about the locally grown product and process. It takes a range of three to five years for hops to mature, they are grown on a 22’ trellis system, sustainably. Their hop plants produce an average of three pounds per plant and they add additional plants each year by harvesting rhizomes in late February/early March from their existing healthy plants. background in education. We’re excited that they’ll offer plenty of educational opportunities to our guests for future events, including their participation in NC Beer Month this April. One of their endeavors includes a homebrewing competition that begins April 12 at the farm, with the winner announced at NC Hops and Roots Fest. Farm Boy Farms currently grows on more than 35 acres and are adding acreage each year as they expand their operation. Their research began on a seven-acre plot in which two-row grains are grown, including Charles and Endeavor. The grains are sowed in October, dormant in winter, and they come out of dormancy and are harvested in late spring when seed heads are plump and at the ideal moisture content. The process includes aeration, cooling to keep the moisture out, time to malt, seed cleaning, steeping for 24 hours, moving to germination tanks, and then putting it in the kiln (notably made by Farm Boy Farms), cooling, and more cleaning before depositing the product into 50 lb sacks. If you’re not a home brewer but are interested in the grains, you’ll have the opportunity at some upcoming tours and events this year (see below for dates). Farm Boy Farms collaborates and provides product for a number of microbrewers statewide as well as area homebrew supply shops in Durham, Raleigh, and Elizabeth City, to name a few, plus educational institutions, industry associations, major festivals, and other partners. *More events are in the works (including one with Aviator Brewing Company when the Pale Ale they are brewing using the malts is available at local bars/eateries as well as in a can at local bottle shops). Check out the highlights on their website and via social media on Facebook (Farm Boy Brewery) and Twitter to see more about their awards and products.